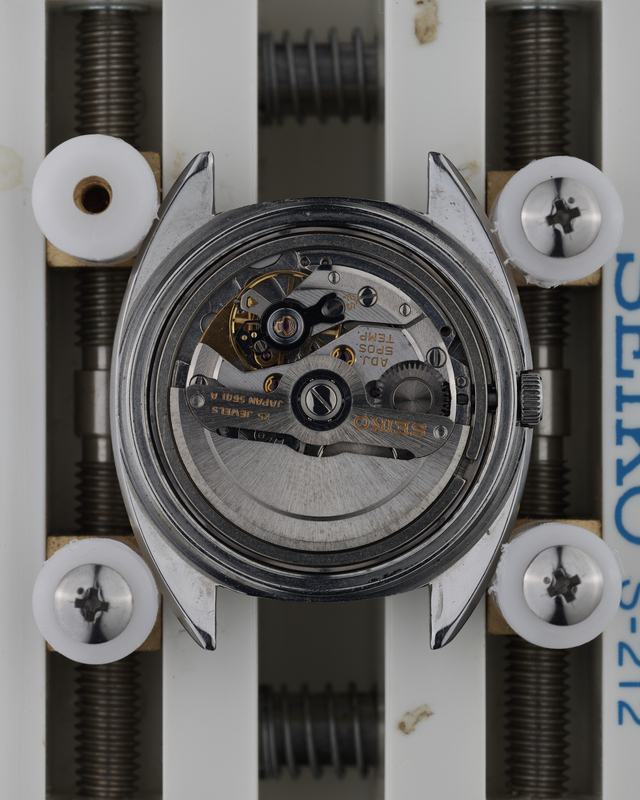 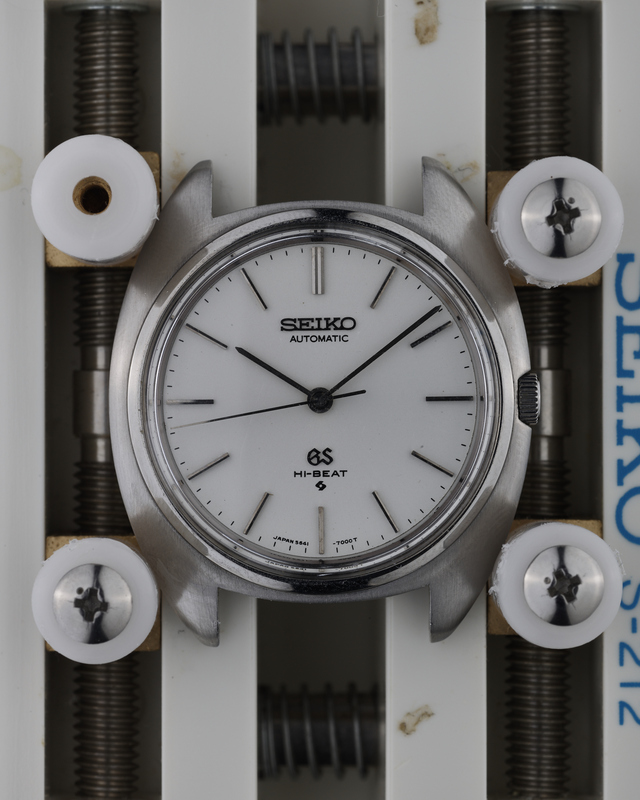 Introduced in the second half of 1972, the 564x-7000 series is one of only two sets of vintage Grand Seikos to give the buyer the choice of no-date (5641), date (5645), or day-date (5646) options. 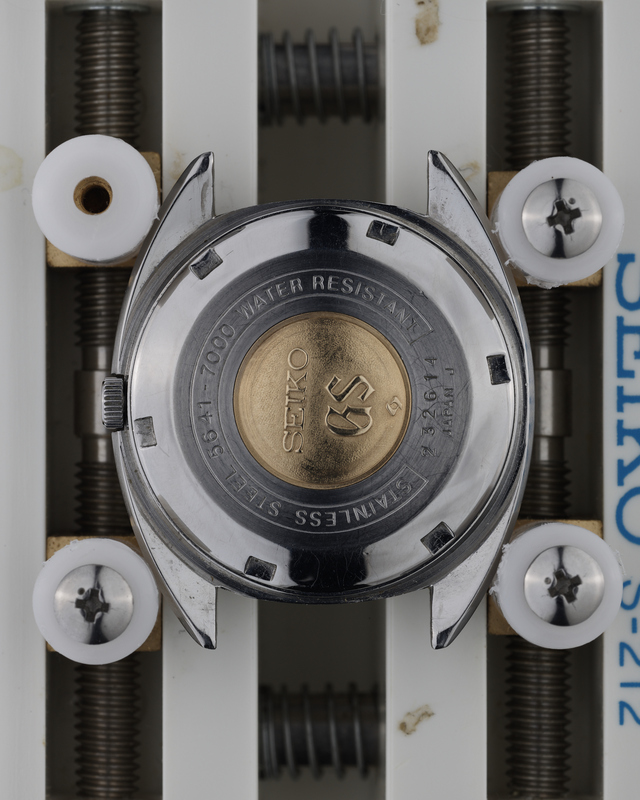 The other set being the 18k solid gold cased equivalent 564x-7005 references. 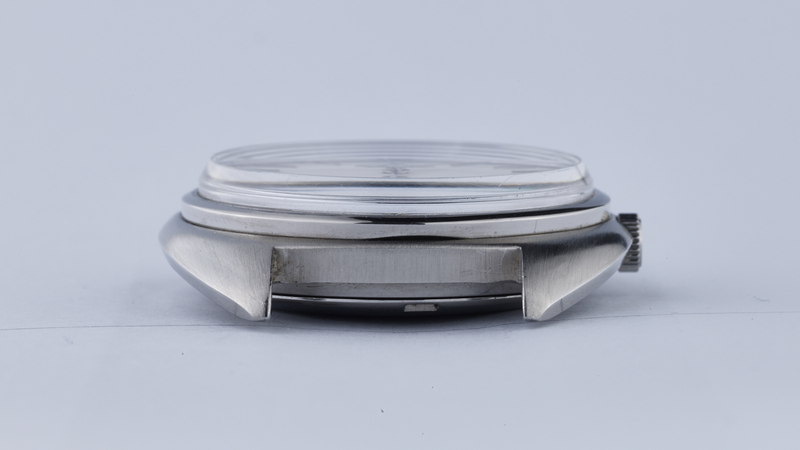 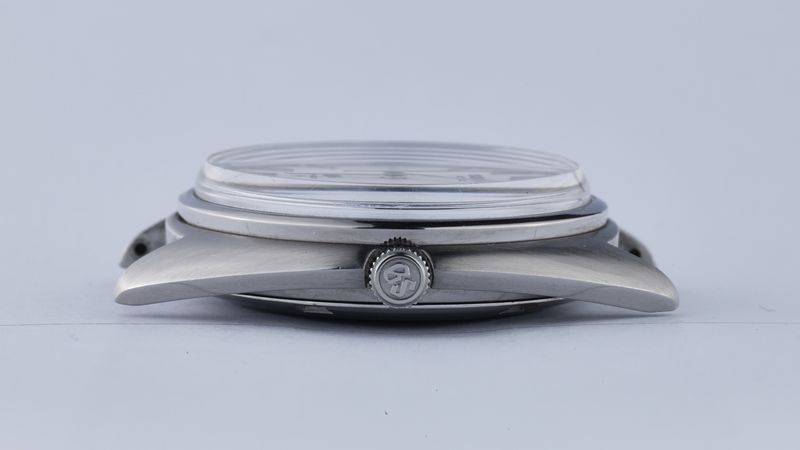 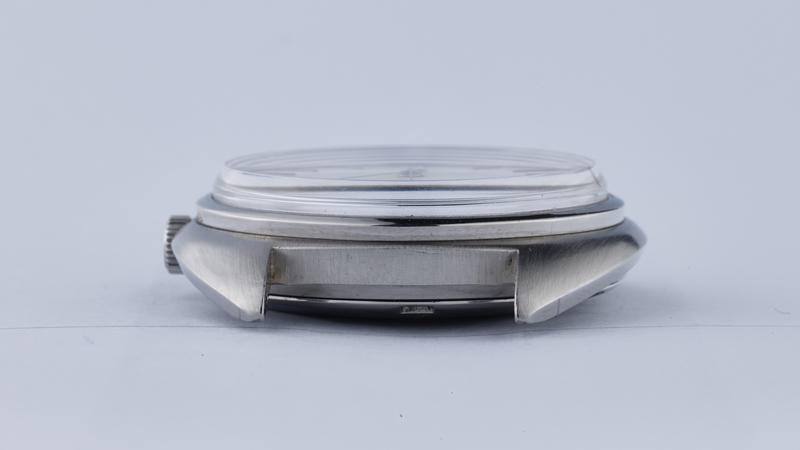 The 5641-7000 offered here is in excellent condition, with its elegantly brushed “turtle” case showing only a few minor hairline scratches, and a close-to-faultless dial. 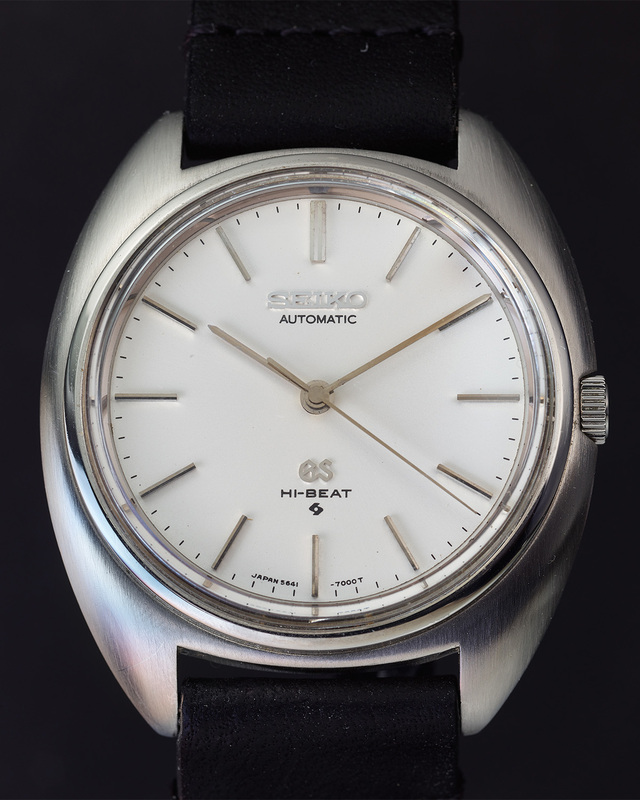 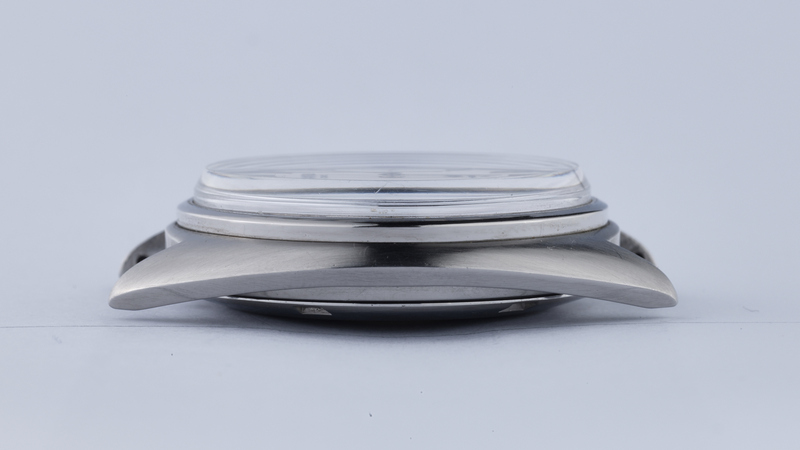 On a timegrapher in the dial-up position, the watch is running at around +6 seconds per day.